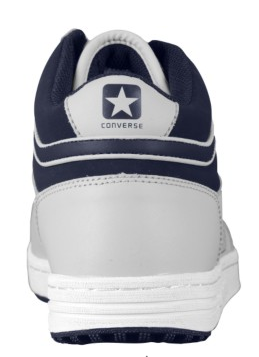 The last post for the Converse Classic brought in some more visitors to the Converse blog and some new comments which I always love to have. 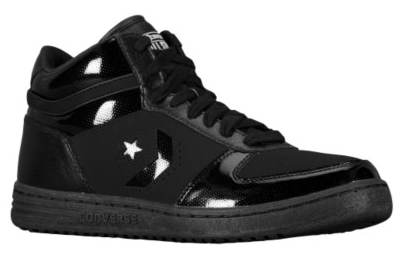 So with the same nostalgic intentions Converse has released the Quantum. 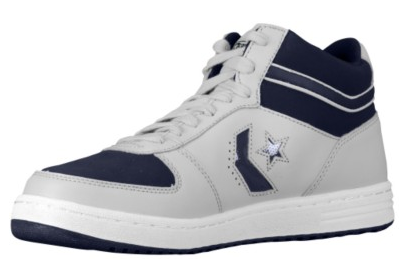 I've only seen them on Eastbay.com so it is probably an exclusive model for them...so why I don't I let them describe it to you. 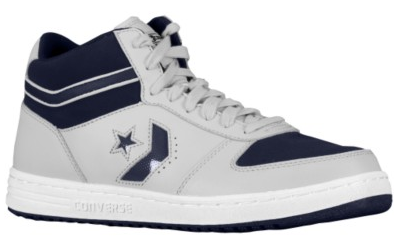 The Converse Quantum shoe takes a classic basketball silhouette and blends leather, suede and patent leather to create an upper with subtle style. A padded tongue and collar ensures comfortable wear while the durable rubber outsole provides dependable traction for any surface. So there you have it, and as you see below you have a refreshing colorway of Gray/Navy followed by the classic black/black.